In this article Brian Tomisik considers some of the issues with utilitarianism and demandingness, and it is interesting to consider how the prevailing utilitarian view often found in the animal side of effective altruism and which dominates many of the larger animal organisations has apparently diminished demandingness by neutralising issues of justice. From Brian’s view there probably ought to be some concern over how it is we excuse injustice through mainstream advocacy, so “it’s not all or nothing”, “perfect is the enemy of the good”, “eating animals can be an effective way of helping animals” all exist as part of the reducetarian (Kateman) proveg (Leenaert / Joy) approach which aims to reduce harm to animals from within a speciesist paradigm. One issue here for utilitarianism and effective altruism is how this challenges demandingness around authenticity or fidelity (particularly around how effective altruists are supposed to disseminate ideas). From the mainstream “pragmatic” approach the prevailing view has been to undermine issues of justice for effectiveness and to utilise privilege for that mission, this minimised a demand on many of the white / male movement leaders to address issues around speciesism, racism, sexism, class (for instance) because they constructed “effectiveness” as not only being compatible with those systems but as part of maximising progress in relation to harm reduction, therefore essentially hiding / failing to evaluate the negative consequences of utilising those systems. Indeed, and Tomisik might also realise that the error in relation to veganism isn’t veganism itself but how it has been perceived as extreme and puritanical rather than as far as possible and practicable in a non-vegan world. The answer here is not to distort veganism as Kateman and Leenaert choose to do, but to educate people in relation to what veganism actually means as a philosophical and principled approach to reducing animal suffering and ending use. Or if this is too demanding for many utilitarians, then to recognise that as being the case and shift to something which doesn’t inherently undermine a more demanding rights based / anti-speciesist approach. Whilst it remains to be seen just how demanding it would be to address systemic issues of oppression if we take the perspective of people who are discriminated against. Surely it is far less demanding to address these issues for people who would benefit from them being addressed whilst the people on the top of the privilege pyramid (many of whom are movement leaders) continue to gain from not doing so. Recently i’ve been giving more thought to the issue of diversity and inclusion in Effective Altruism, and part of this process included wondering how the Foundational Research Institute (FRI) had considered issues around diversity[i] and inclusion at its inception. I didn’t initially find what I was looking for, but I did happen across this article from Brian Tomisik titled: ‘Reasons to Be Nice to Other Value Systems’ (I recommend reading it before proceeding further). I think there are fairly good reasons to be nice to other value systems, and I want to consider whether Effective Altruism for Animals (EAA) reflects this view from a foundational perspective. For a starting point I’m going to consider the trend to utilise an animal movement model based on a welfare / abolition dichotomy. This has tended to reflect the appearance of welfare being something which isn’t related to a certain form of ‘abolition’ (namely the Abolitionist Approach). So in relation to this model, where Effective Altruists do not fit into the Abolitionist Approach, and choose not to advocate welfare (in an industry sense), then a good question seems to be how they fit into EAA and what this means in relation to the different value systems that Effective Altruists could utilise. To provide some background to this question it is useful to look at the origin of the welfare / abolition framework, something which also provides some insight into the formation of EAA, as a number of the group who divided the vegan movement (with the reasonable intention of making it more effective) are also associated with Effective Altruism. The central aim of this division appears to have been to increase the scope of the vegan movement, however, it could also be said this scope already existed within the broader animal movement. For instance, the largest groups have traditionally included HSUS, CIWF, RSPCA, and all are concerned primarily with welfare rather than ending exploitation. These groups have occupied an integral part of the modern animal movement, and are closely aligned with the form of welfare advocacy with which the model was concerned. This is to say the adoption of reducetarian or flexitarian approaches are a good fit with traditional welfarism (both exist within carnism / a framework of animal consumption). In terms of the decision to divide the movement, it is worth considering whether it also exacerbated some issues in relation to marginalisation, particularly where ‘welfare’ has reflected mainstream society. For instance, the non-profit groups promoted by ACE are largely structured on a fairly standardised organisational model, which is to say they largely reflect the system of white male leadership (for instance we can look at the CEOs of successful profit making organisations to note the comparison). If this aspect had been considered it is difficult to ascertain where it has been accounted, because the impact of utilising a patriarchal system explicitly or implicitly would need to be offset. Otherwise we risk the negative impacts of patriarchy (sexism and misogyny in their various forms) appearing within organisations, and more generally in the animal movement as a cost of this strategy. For people affected by this Carol J. Adams has engaged a process where issues can be reported. When we further consider the situation that a small group of people in the animal movement created a divide in the vegan movement (perhaps with reference to the Unilateralist’s Curse), it might follow that resources were equally divided along this ideological schism, but there is no evidence of this being the case, if it were the case then we could perhaps more easily negotiate different value systems in terms of greater parity of wealth and influence. However, the split seems to have led to further consolidation of resources to various groups weighted toward welfare, and we can identify this today with various welfare / reducetarian organisations such as HSUS, Mercy for Animals, Animal Equality, The Humane League, Pro Veg occupying positions as the recipients of a vast proportion of movement resources. There is something of a comparison here in relation to the discussion within Effective Altruism regarding animal shelters as the beneficiary of resources over farmed animal groups. When we look at the farmed animal movement then we can observe how a small number of welfare organisations have accumulated wealth and power[ii], whilst more ideologically diverse groups are consequently neglected in terms of both resources and consideration within EAA, and often in the broader movement at large. The benefits for utilitarian oriented groups gathering behind a single ideology are fairly numerous from an organisational perspective, where it is possible to support one another to equalise movement discourse in such a way that groups reinforce one another. So we could look at correlations between associated groups that dominate animal conferences, such as the International Animal Rights Conference, Animal Rights Conference and Sentience Conference (in particular). This also means that groups can globalise under the same system, and this has happened in relation to the Centre for Effective Vegan Advocacy (CEVA), an ideologically reducetarian organisation that has chosen not to define the parameters of the work it undertakes. This is an approach backed by Peter Singer, Pro Veg, Faunalytics, Animal Equality, Beyond Carnism, FARM Sanctuary, Good Food Institute and HSUS through their board of advisors. It’s also worth mentioning at this point that including Peter Singer as a board advisor can make it difficult to raise critical points in relation to organisations, this seems to coincide with people giving support on the basis of an association with one of the most famous people in Effective Altruism. So to argue against them in some way, is often to argue against the support he gives to that organisation, and essentially his judgement in doing so. Even whilst this form of welfare / reducetarian advocacy has become the norm within EAA, it still remains that in 2016 ACE recommended both Animal Ethics and the Non-Human Rights Project, and neither necessarily fit into the welfare / abolition category, or are they particularly related groups. However, the overall picture supports a dominant discourse that is a combination of utilitarianism and welfare, so given that influence we ought to ask how it is that EAAs are working hard to be inclusive of other organisations and value systems. So one question might be the extent ACE are working with, and evaluating groups that exist outside the welfare paradigm in order to incorporate those issues of diversity. In some ways there has been a little progress in relation to several interviews, the incorporation of some of the ideas as part of a symposium, and an article this year, but it remains unclear as to how important this is to ACE or EAA generally, and there is a vast disparity when comparing the work undertaken with welfare organisations, where issues such as these haven’t been incorporated in a meaningful way. We also might consider the impact that EAA backed welfare organisations have had within the broader animal movement, and the possibility that people who choose not to associate with welfarism would also become disenfranchised with Effective Altruism, or indeed choose not to engage at all. Of course, we could wonder whether people would form their own groups, or attempt to exist outside this paradigm, though we could counter that ‘welfare’ has also become increasingly globalised, so there is a consequent difficulty in maintaining alternative spaces. I believe the impact of this into the future has been under-considered in a similar way to how its existence has been neglected. Given this outcome EAA is unlikely to attract leading thinkers from different value systems, and this could be accounted as a cost in the reduction of analysis from different perspectives, and perhaps analysis overall (whilst also incorporating the risk of replacing expertise with something far less useful). Another point to consider is where competitive movement aspects may have become limited, potentially leading to a decline in engagement. For instance, if EAA had the appearance of considering welfare as the best thing, and anything not associated with it as secondary, less effective or ineffective, then it can also diminish the requirement for counter consideration. Arguably we may already have reached the point that welfare has become the dominant narrative to the extent that EA frameworks are under applied, as utilising that perspective would have become self-evident. Further to this, meta-evaluation is not considered reasonably important by either GiveWell or ACE, and neither by many people within EAA, so if we believe there is at least some validity in relation to concerns raised, there is no reference point to independent sources that could lead to validation or invalidation. I am uncertain whether many EAAs would generally recognise they were treading on toes, but it might be one way to explain how it lacks diversity. The best way to find this out is from people who don’t want to be involved with EAA and are critical of it. If instead we really believe that many people in the animal movement aren’t interested in evidence, rationality, or effectiveness in relation to animal advocacy then I think this is unfortunate, because whilst some will not be, many would be interested in improving their advocacy on behalf of other animals. It also might be that EAA (or EA) isn’t particularly interested in addressing these issues, preferring to think about other important ideas rather than foundational considerations. 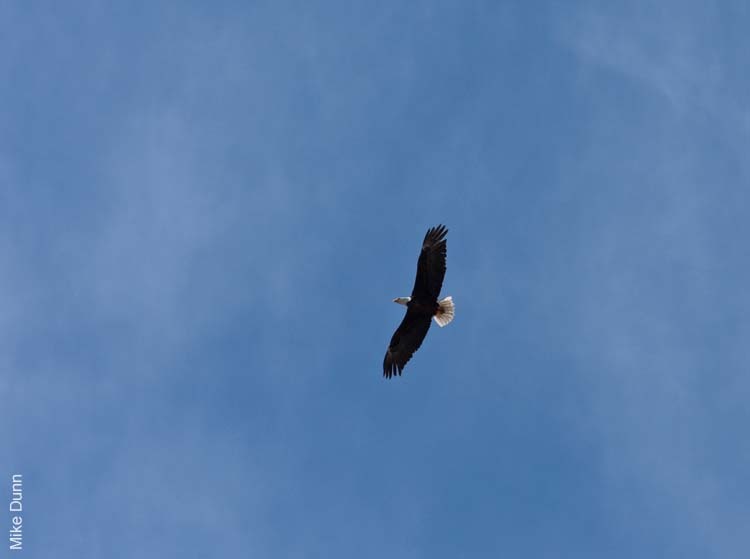 However, this overlooks that without these initial considerations it is very difficult to draw potential conclusions from EAA work in relation to what might be the best, or most effective thing to do, if it isn’t based on a fair understanding of the various ideas present in the animal movement. Meta-evaluation – with the necessary scope to consider foundational issues. Speculation – in terms of donating to organisations that have certain values compatible with EA and that could provide a counter-point to the dominant position of utilitarian welfare groups within EAA and the broader animal movement. Given many people would not have the time to look beyond ACE top charities there could be a standardised form of offsetting or hedging based on ACE metrics. Democratisation / accountability – EAA might consider whether the role of CEO at ACE could be limited in duration, and the potential value of rotating this role. I am also uncertain whether the advisory board is sufficiently diverse, and it appears there is reasonable scope for improvement. Modelling – commit resources to modelling EAA in a way that is more inclusive, whilst fostering relations between people who aren’t utilitarian or associated with the welfare movement. In this way it might be the case that EAA doesn’t tread on toes as a matter of course (for example, where non-welfare ‘abolitionists’ are referred to as extremist, fundamentalist, puritan, dogmatic absolutists). I also think there could be some adjustment around institutional intervention (particularly in relation to reflecting corporate organisation and hierarchy[iii]) and individual ‘mainstream’ messaging, to further consideration of social movements which emphasise shared meanings and respectful characterisation that would also relate to EA guiding principles. Representation and diversity – emphasis on inclusion at EA Global and related events so that attendees can benefit from multiple perspectives. [i] In this article diversity refers to the inclusion of people from traditionally marginalised groups who have been discriminated against, and also to the diversity of value systems that are reasonably compatible with Effective Altruism. I do this because both are important, and one without the other could be tokenistic in the sense women could espouse on behalf of a patriarchal movement, or we could have white men espousing on behalf of ideological diversity. [ii] ‘The concentration of wealth leads to the concentration of power.’ Noam Chomsky. [iii] Note for instance comparisons that could be made with the work of Robert Jackall in the book ‘Moral Mazes: The World of Corporate Managers’. I recently came across a fundraiser for a cat and dog shelter near Bristol, and whilst it’s really worthwhile supporting groups that are helping cats and dogs, it is worth considering that in terms of animal suffering cat and dog issues aren’t particularly neglected, and that we also wouldn’t need to harm some animals to help others, we can also help more animals by not supporting the industry of animal consumption. The fundraiser itself refers to a dinner party serving animal products, and whilst it’s not unusual for rescue groups to do this type of thing, there are probably a number of reasons behind it. Perhaps the primary one is that some animal shelters may be concerned that serving vegan food may put people off supporting them, or cause people to think it is extreme to help animals to the extent that we wouldn’t eat them. In cultural terms most people presently believe it is perfectly fine to eat animals, even if it is unnecessary for us to do so. Another issue could be that people associated with the shelter aren’t vegetarian or vegan and so wouldn’t think about the reasons in favour of having a vegan menu, instead a single vegetarian option exists in each savoury category on the menu, with the consequence of placating, rather than celebrating the diversity of non-animal food. A better way forward for various animal rescues is to be more inclusive and progressive, reflecting the ethic we wouldn’t replace calves on our menus with cats and dogs, and yet this could still require careful promotion to encourage people to support the fundraiser. However, I do think if most people care about cats and dogs, then even if they didn’t care particularly about not eating other animals then they would still support cat and dog shelters for the good work they are doing. In this way ‘enduring’ a delicious vegan meal rather than going to the effort of finding other cat and dog rescues that support the consumption of other animals, and so reinforcing their ideas. For animal rescues themselves another alternative could be to avoid organising fundraisers that involved ‘food’ altogether. There are also several broader issues to consider too, such as dogs and cats eating other animals anyway. This is indeed the case, but at the same time isn’t necessarily going to be the case either, whilst it also wouldn’t add a layer of legitimacy for what humans choose to consume. Another point could be the issue of domestication, in terms of animal companions this is still situated within speciesism. From a western perspective we tend to treat cats and dogs differently from ‘food’ animals, and yet this still varies depending on how we use them (for instance within the greyhound industry, vivisection labs, puppy farms), whilst from a vegan perspective rescue (or non-use) would be encouraged and purchase discouraged. At the end of the day I think there are good reasons for animal rescues to serve vegan food at fundraisers. For some supporters this may be an issue of concern, but for one night we ought to be able to put aside those issues and appreciate the reasons why it is a good thing to do. I recently came across a comment from William MacAskill that helped me to think a bit more about Effective Altruism (EA) and utilitarianism. Previously I hadn’t really thought it possible to move beyond the association between them, especially with Peter Singer and William MacAskill as central figures. However, it does seem to be the case that Effective Altruism is something other than utilitarianism. In relation to Effective Altruism for Animals (EAA) the door seems to be held open for ideas that tend to be rooted in different perspectives, whilst also appearing to regard the incorporation of different approaches (diversity) as beneficial to the movement. Of course, this is not going to be an easy thing to accomplish, and arguably has not managed to do so up to now, or indeed will do so in the near future. However, progress with this issue could potentially be a very useful thing, as it seems helpful to foster an environment where ideas can be discussed equally, despite our own preferences (perhaps biases) toward different perspectives. This isn’t a straightforward proposition, and it might require a fair understanding of different ideas alongside the resources to do that work. Further to this, we also need to ensure people are included who are already engaged in their own struggles, which can be inextricably tied into those of other animals. So we could also ask why it is people might prioritise something like Effective Altruism, if the organisation itself doesn’t appear inherently relatable? With this important issue outstanding, we might also move to consider that as Effective Altruism isn’t ‘Effective Justice’ and isn’t Effective Utilitarianism (though some perhaps disagree), then what would it be in an animal movement context? I believe it could be an approach which acts as a system to improve overall movement effectiveness independent of which framework people are using. However, this does require that people holding different perspectives do get involved / are willing to take part / are given a platform, whilst there is also a general spirit of collaboration in this process beyond the fact we may not believe other Effective Altruists (who hold different philosophical perspectives) are supportive of our own approach. For instance, I am not personally in agreement with a degree of Peter Singer’s work, yet that doesn’t necessarily present a barrier to becoming involved with Effective Altruism to a certain extent, because it doesn’t mean to say there isn’t something to learn from the movement, and to give to the movement in terms of contributing time, ideas and perhaps some resources generally. However, in order to be involved in such a way which isn’t relentlessly critical, there does need to be some agreement about what may or may not constitute a reasonable outcome within Effective Altruism. This would mean that criticism isn’t necessarily focussed on rejecting an idea outright, but on adjusting ideas to become more useful / effective as viewed from both inside and outside of the movement. This means the guiding principles of EA are adhered to, whilst people can identify where various comparisons and evaluations are being made that are integral to Effective Altruism. I think one consequence could be that certain outcomes do not reflect the best thing from any particular perspective, yet it could ameliorate various ‘bad things’ by applying values consistently, and this may lead to an improved representation of different positions with better outcomes moving forward. As most groups that are recommended by Animal Charity Evaluators (ACE) appear to support a mainstream ‘pragmatic’ perspective (partly due to criteria, willingness to conform, support from movement leaders and associated privilege) then it is going to be incumbent upon those groups as recipients of EA money to take reasonable steps to consider rights based issues in their work. This isn’t to say they have to do rights based work, instead I would say it is practically impossible to bring the two together, though there is a large degree of overlap the perspectives are often quite differently aligned. This will mean however, that we also need to compensate for this issue if we are not going to generate negative outcomes in the broader movement (particularly through declining diversity / crowding out). When we locate different perspectives we also know there is often contention, yet much of this could be viewed as beneficial or useful in terms of improving approaches, so it should not necessarily lead to stagnation or division. For example, out of the top groups recommended by ACE it could be possible the Good Food Institute (GFI) would be widely supported. Yet whilst the organisation has an interesting agenda, there are issues with the approach that could be addressed, such as how a philosophy of animal liberation appears to be neglected. In this sense, I think it is almost preferable were someone more ‘neutral’ and even non-vegan to lead the group, as it seems there may be limited value in expending resources relating to the animal movement when this is not the audience. Two further issues spring to mind, such as bringing a conflict of reducetarian interest into the vegan movement, and diminishing movement effectiveness through support for the Animal Industrial Complex. These are both neglected issues that require evaluation, yet this doesn’t mean to say GFI is going to be particularly controversial overall, particularly if its position were clarified in relation to the advocacy movement. A brief consideration of two ‘mainstream’ advocacy approaches. Reducetarianism is an interesting proposition in relation to Effective Altruism. It represents an idea developed by Brian Kateman who has a track record at the Centre for Effective Altruism and the Good Food Institute. In this regard, an interesting question to consider is the degree to which Effective Altruists are likely to support it? I would say utilitarians could do so quite easily, at least as part of a broader project. Though rights activists are likely to be more sceptical in relation to the inherent association with carnism. However, i do not believe that agreement over this approach would be necessary, instead a general sense of indifference where apparent negative consequences were minimised could be sufficient to make it reasonably acceptable. I would suggest this ‘acceptance’ could be located in the tendency of rights activists to prioritise work around one of the greatest obstructions to animal liberation (animal eating), and arguably reducetarianism as it presently stands creates an issue here. This becomes a particular concern where the carnistic defences are brought into the equation, so I would argue these defences ought to be minimised overall rather than utilised ‘strategically’. For instance, we would need to accept that rights activists are likely to support a Vegan Society definition* of veganism in order to build a movement around that idea (with consistency as far as possible), and for this to happen people are going to address the carnistic justifications within reducetarianism (I don’t eat much meat / it’s not all or nothing / animals are food). Indeed, the same can be applied to vegetarianism or flexitarianism, despite these identities regularly being viewed as steps in the ‘right’ direction. In this way I believe other activists correctly view this as a potential sticking point, and where we find the intent to do as much as we can for other animals, I believe this ought to be supported and encouraged so people can also be moved to join a social movement for change that is based on rights ideas. To further address the reducetarian issues, we could also question the positioning of veganism as ‘extreme’ or ‘purist’, whilst saying it isn’t ‘all or nothing’ appears to be unhelpful overall. This particular idea seems to be used as leverage to draw attention from a speciesist society, whilst consequently shutting down consideration for the vegan perspective. A further point is that it seems to be a less than good idea to say that vegans are reducetarians, because although vegans have reduced their animal consumption, it is plausible to consider they wouldn’t necessarily associate with reducetarianism (carnism), so rather than ending ‘conflict’ it may exacerbate some issues. I think it is fair to say that some of the consequences of reducetarianism are yet to receive much attention, although there are examples of areas that have been considered. Following on from these points, I don’t believe it is a reasonable expectation that people wouldn’t consistently argue points in favour of veganism outside of Effective Altruism. However, there do seem to be attempts to convince people otherwise, for instance through the ‘Centre for Effective Vegan Advocacy’ (CEVA). In opposition to this, I would suggest that rights activists tend to have less interest in appealing to the systems of power most utilitarians appreciate, indeed it could be argued that rights activists tend to favour building from the ground up, rather than from the top down, and this would take on a different appearance within the movement. In terms of the organisations generally taking a more casual approach to ‘vegan’ advocacy, then it likely depends on the claim that is being made on veganism and how that affects people who are trying to relate to one another in the broader movement, and in relation to advocacy itself. In this instance therefore, it isn’t enough to claim that vegans are not the audience, and that relating to definitions wouldn’t be necessary, or that doing so would even be harmful. This is because social movement regulation, sometimes referred to as ‘policing’ is also important. In fact, very important in terms of identity, belonging, authenticity and movement building, whilst this isn’t to say there aren’t issues that need to be regularly addressed. Yet veganism remains a social movement in itself, whilst existing as part of the broader animal movement, and this needs to be acknowledged and accounted for in the work of Effective Altruists. I tend to believe that when animal groups associated with Effective Altruism choose to start talking about veganism it probably ought to be in relation to making a case for that, or at least realistically presenting what it is, which would conversely undermine the reasons for reducetarianism. As far as the larger groups are concerned the manner of communicating and advocating veganism probably hasn’t reached a reasonable standard because of the impact of ‘pragmatism’, and it could be more effective to largely allocate this work to the grassroots movement. I think EAs could recognise and support that work and likely already do to an extent (although i am sceptical of the way in which the term ‘grassroots’ is often used). We can also note that groups who are principally engaged in other than vegan advocacy (principally as compassionate carnism), are the beneficiaries of a rather large proportion of EA resources through ACE and the Open Philanthropy Project. Following from this I believe we could make a reasonable case for prioritising the dispersal of some funds to benefit a larger number of smaller groups, this in turn could include supporting groups that have good processes in place, or where training could be provided to enhance processes, and one benefit here would be to increase competition for funding within EA. I think finally, it is also worth noting there appears to be a significant difference between non-vegans and vegans advocating reducetarianism, which often seems to take place under the guise of ‘pragmatism’. Whilst we can also make a similar claim for veganism that is often made for reducetarianism, where vegans engaging with someone to incorporate vegan alternatives could reasonably lead to a 10% reduction in exploitation. So I believe there needs to be a substantial evidence base before we argue in favour of vegans replicating carnistic reducetarian claims, certainly more than the one which presently exists. In this regard, I believe some caution is warranted from Effective Altruists, particularly as this approach would likely benefit from further evaluation, even as it has been widely supported by mainstream groups. In terms of welfare it has sometimes been argued that rights activists could take part in this work in relation to the industry, if it were clear that people were also asking for veganism and opposing speciesism. However, given the backdrop of the animal movement in this area it does not seem particularly worthwhile to try and carve out a niche. In relation to this, people sometimes speak of ‘authentic’ welfare rather than ‘welfare that deceives’ (Lee Hall, 2016) to differentiate between the issue of caring in a system of exploitation and supporting that exploitation. I think that even were people to argue in favour of a standard welfarism with the aim of harm reduction (without reducing the number of exploited animals), this could gradually receive less emphasis in Effective Altruism and the broader giving movement. This is particularly the case when we also consider potential gains to human health and the environment through reduction. Advocating to change the way we view animals, whilst simultaneously improving the way people can access the vegan lifestyle, could become a higher priority as it appears to offer greater simplicity and clarity. In accordance to EA this might be favourable, as those areas that may be agreed upon could also carry greater weight when it is apparent they would more readily reflect movement cohesion. It is also worth noting that welfarism disrupts the market for plant based products, particularly by making over reaching claims on animal wellbeing in systems of exploitation, whilst the impact of negotiating a settlement over acceptable harms are problematic. I also believe that when we say less harm is better than more harm, there exist issues if we endorse specific areas of harm. 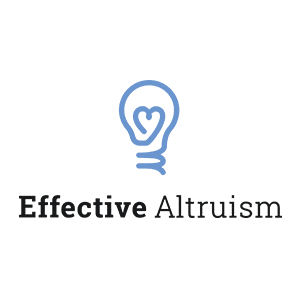 Effective Altruism it seems is not a space to argue over whether one philosophical approach is better than another, but a place to increase accountability to ensure that we are in fact thinking about best practice and how it is we value the principles of Effective Altruism. We could get bogged down in a form of intransigence as one group prefers one action over another, yet if Effective Altruism reasonably meets a certain set of standards then that should be more important. Whilst there may also be some ‘flexibility’ given the utilitarian weighting, though it ought not be so flexible the values of Effective Altruism become increasingly difficult to discern. As it stands a central issue with EAA has been the utilitarian influence. This has a number of consequences, one of which relates to the diversity of ideas and approaches in EAA, and a subsequent question of their authentic representation when they do appear. I believe that moving forward there can be some uncertainty as to whether utilitarians will effectively equivocate in relation to EAA (with particular regard to institutions), and in such a way that would allow for different approaches and organisations to flourish. Considering Considerateness: Why communities of do-gooders should be exceptionally considerate. Effective Altruism as Utilitarian Equivocation. The Guiding Principles of Effective Altruism. This is a short article that seeks to examine how it could be possible to apply some of the ideas associated with the Unilateralist’s Curse to EAA and veganism. I was initially drawn to this idea by the way that veganism is sometimes considered ‘puritanical’ or ‘extreme’, and how the intentional marginalisation of veganism has by and large characterised the approach of various animal groups that are primarily considered to be the most ‘effective’ within EAA. I would firstly say that it is true veganism does go beyond the initial welfare intentions that are considered important by EA, but nevertheless veganism does include consideration for animal welfare, albeit the conclusion is not to use animals (largely because welfare myths underpin animal exploitation / the approach hinders advocacy through replicating various carnistic defences). My point would be that it appears at least reasonable to question whether there is something of a Unilateralist’s Curse in relation to the ‘mainstream’ animal movement, in the sense that rather than the appearance of a minority holding a balance of power, the majority or ‘mainstream’ is perceived to do so. This appears to be the case because a small group of thought leaders in the movement appear to have acquired the most power (influence) / financial resources and have dominated movement discourse. This could give the impression of a mainstream consensus through an association with the large animal organisations, when instead this movement context could be identified as informed by a fairly narrow, uniform ideological approach that has been established and promoted by a very small group of people (this would be the curse). ‘Reducetarianism’ could be a good example that represents a manifestation of this ‘curse’, because it doesn’t appear to have been evaluated in relation to various EA expectations (cost-benefit analysis / counterfactuals / opportunity cost / cost-effectiveness analysis), and neither have various stakeholders been consulted, either because they aren’t recognised, or because they have been historically undervalued within EAA (reflecting a certain inevitability of the curse, or a lack of intentionality relating to EA standards / values). For example, we may see a discussion around ‘diversity’, yet this tends to refer to the scope of a single ‘pragmatic’ ideology, rather than diversity within the broader animal movement. We can also observe the casual application of ‘diversity’ within AR2017 which could lead us to believe these issues do not tend to merit serious consideration. We can also look to how the movement is often split into simplistic dichotomies such as ‘abolitionists’ and ‘pragmatists’, where abolitionists exist peripherally in the movement, and other stake holders are either hidden or incorporated, with ideas appropriated and distorted to fit into an ‘inclusive’ pragmatic paradigm. At the very least, there appears to be a significant flaw in the way animal organisations currently operate in relation to EAA that appear ideological, and could precipitate EAA falling short of the standards we might expect from Effective Altruism. Of course, we could argue there are ‘strategic’ gains to be made, but I would counter that a significant evidence base would be required in order to warrant the appearance of falling short of EA standards / values, or to potentially risk the reputation of EA. The following ideas represent some really helpful advocacy tips that featured in Tom Regan’s War Analogy article. The last thing other animals need is another reason not to be respected. So the first thing we need to insure is that we do not provide that reason — something we do provide if we come across as thinking of ourselves as so much better than, so superior, to the meat-eaters or the fur-coat wearers of the world, for example. Who wants to be around arrogant, self-righteous people? Who is going to listen to what they have to say? I don’t know about you, but when I’m in the company of such people, I’m looking for the exits. Non-ARAs can be counted on to behave the same way if we present ourselves as holier-than-thou. We don’t help other animals by turning-off other human beings. In particular, believe in their capacity to change — and believe in their capacity for goodness. 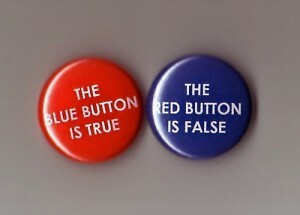 Think of things this way: we are trying to help people have a change of perception. Here is a person who does not know what is happening on factory farms or on puppy mills. Here is another person who knows, but doesn’t care. And here is yet another person who knows and cares, but not enough to do anything about it. Unless you’re very unusual, these people used to be you. I know they used to be me. For me, looking at these people is like looking in a mirror — a mirror that reflects the past. My past. And, if you’re like me, your past. If we can have a change of perception (as we have), then there is no reason why the same thing cannot happen to other people. We need to believe in the possibility of change in their lives before we can help facilitate this change. The idea of animal rights does not live in a moral vacuum. Those of us who believe in the rights of animals are for life’s great values, not merely against animal abuse. We stand shoulder to shoulder with those who are for peace and tolerance, for compassion and mercy, for personal integrity and social justice, for human freedom and equality, for the preservation of the environment and the advancement of science, for special concern for those with special needs. We are for, for, for, not only against, against, against. So (as I mentioned earlier) because the general public has a negative view of ARAs as a result of how the media portrays us — this means . . . what? It means that our job as educators takes on added importance. We are so many Davids. The media (fueled by advertising dollars from the animal abusing industries) are so many Goliaths. Well, we all know how that story ended. And, yes, we all should take inspiration from the outcome. We cannot make people have a change of perception. All we can do is try to help this happen. The more we force the issue, without preparing the ground (so to speak), the less likely we are to succeed. So prudence counsels taking people where they are. They care about their health or the health of their families. They care about scientific misconduct or the ill-effects of prescription medicines. They care about environmental degradation or the extinction of species. Fine. Fine. They care about something. And whatever they care about in the list I’ve given (and I could write a much longer list, and so could any other ARA), there is a way to bring nonhuman animals into the conversation. We need to help these people see the connections. Help them see why what they care about intersects with what we, as ARAs, care about — and, indeed, with what these animals themselves care about. Helping them see the connections will not convert them to animal rights advocacy on the spot, but it can provide them with an opportunity to move forward. As ARAs, we believe that other animals should not be turned into food, turned into clothes, turned into competitors, turned into performers, turned into tools. We are categorically opposed to all practices and institutions that treat other animals in these ways. This is not something we should be hesitant to say. We owe it to others to be open about our deepest convictions. We owe others our honesty. We should not expect, of course, that vast numbers of people will agree with us just because we’re honest about what we believe. But neither should we conceal our deepest convictions because this is not going to happen. Being the change we want to see in the world. 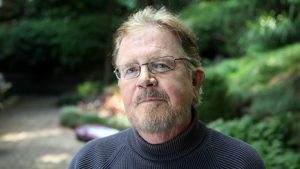 Tom Regan is Professor Emeritus of Philosophy at North Carolina State University. He is also an uncompromising ‘Animal Rights Advocate’ (ARA). In his latest book Empty Cages – Facing the Challenge of Animal Rights he argues that human beings should not enslave non-human animals and use them as means to their ends. Rosamund Raha puts some questions to him. They see something. They read something. They hear something. And there, on the spot, in the blink of an eye, they are born into animal rights advocacy. A dramatic event in their life changes the direction of their life forever. Then there are those I call Muddlers.Unlike Da Vincians, Muddlers are not born with natural sympathy for animals. And unlike Damascans, there is no single event in their life that changes who they are, changes why they live. Instead, Muddlers – well, they just muddle along, asking one question, then another; learning this, then that; asking for reasons for why they should change; needing to be convinced. Change is a drawn-out process for them, a journey. But if they keep at it, a day dawns when they look in a mirror and, much to their surprise, they see an Animal Rights Advocate looking back at them. That’s certainly what happened in my life. Nothing in the genes. No Road to Damascus conversion experience. Just a long slog to animal rights advocacy. In your essay Animal Rights and the Myth of ‘Humane’ Treatment, you say that most people believe that non-human animals are treated well on farms and in laboratories. Why do you say this? As the natural habitats of some species have been mostly destroyed, Peter Singer suggested that animals such as chimpanzees, bonobos, gorillas and orangutans may need to live under human control and protection. Do you consider this necessary? I think it could be fair to say that people are generally reluctant to deal with the fairly opaque politics of the animal movement. This could be for several reasons, including the idea of taking time away from grassroots animal activism, the time it could take to unravel some of the issues, or not being heard by those in positions of power which would render time spent in this area of little value. Yet accepting the present situation (by not explicitly challenging it) helps maintain the status quo in the movement itself, which has necessarily hindered the promotion of effective approaches around rights based ideas. When examining effective approaches to animal activism, we can look at effective activism from a perspective of rights based ideas and veganism rather than from an ideological position of pragmatism, which claims to include aspects of many different approaches, yet fails to represent those involving anti-speciesism in reliable ways, and even deliberately misrepresents them (for example Vegan Society Today, the work of the ‘Vegan’ Strategist and Reducetarianism). These issues have been discussed many times in different groups and have yet to be resolved satisfactorily, partly because it hasn’t yet been acknowledged that doing so could serve the ‘mainstream’ and largely consumerist animal movement in useful ways. Whilst advocates for the pragmatic approach (where animals are often regarded as ‘meat’ and objects to consume) are decidedly reluctant to engage with people that would call their approach into question and challenge their dominant position in the animal movement. One of the defining moments which led to the ascendancy of the pragmatic approach took place when various ‘leaders’ chose to ‘divide’ the movement. When this event took place it wasn’t to cut the movement in half, instead it was more realistically a takeover of the movement, and activists that weren’t enthused by this approach were generally pushed further into the margins. Indeed, there are many perspectives that challenge the premise of mainstream ideology that have either been excluded, or are just not considered. As a consequence it has become increasingly difficult to take claims of ‘effectiveness’ seriously from within the mainstream movement, as those pragmatic ideas are favoured both ideologically and strategically, whilst ‘Effective Altruism’ has appeared to reinforce the dominant position of a ‘pragmatic’ approach from within the animal movement, despite various claims of ‘cause neutrality’. One of the main issues is where we identify that ideas around ‘effectiveness’ (broadly translated to successfully engaging people / affecting change) can be applied to various forms of rights based activism through a more limited, though not limiting framework. There are a number of benefits to a rights based approach which are backed by research, for instance undermining rather than reinforcing stereotypes, and the transformative language rights based activists can utilise. So it isn’t as if the merits of a rights based approach cannot be evaluated, and this would be a more constructive approach to take, rather than putting forward ideological points that masquerade as criticism. In this regard we can identify areas where this has been popularised, because it has also served as a useful tactic to distract from the general failings of mainstream ideology (take for example regular accusations of ‘purity’). When ‘movement leaders’ acted unilaterally to ‘divide’ the movement, it is probably fair to say they could have more carefully allocated resources to different areas, whilst considering the idea of uncoupling certain aspects of the movement that would have allowed people to develop their ideas and approaches more effectively (a somewhat surprising oversight given a reliance on a business / corporate approach that should have ensured this situation was both considered and evaluated). As a result the concept of rights and veganism ought to have been separated or at least markedly distinguished from the pragmatic mainstream ideology they favoured, whilst the ‘mainstream’ could have solved some of the issues by taking on the mantle of reducetarianism or flexitarianism, which as an approach seems to be both preferred and a natural fit, and so would have had the dual benefit of people being more closely affiliated to their own beliefs, whilst freeing vegans to do their work. A further positive aspect could be identified where it would also help alleviate internal pressure from a mainstream movement that has often appeared to mimic the ‘carnistic defences’ and stereotypes utilised by mainstream society, whilst reinforcing aspects of cultural speciesism that many vegans are trying to undermine. This is largely reflected in how the mainstream movement has acted to placate speciesism. For example, by perpetuating the humane myth or promoting reducetarianism, and focussing on ideas such as carnism rather than speciesism. It also seems fair to say that animal rights activists have enough to deal with regarding groups like non-humans first and other ‘free speech’ groups, whose origins partly reside in the mainstream movement (no gatekeeping / open door policy / little discussion around approaches / utilising various defences that maintain prejudice instead of addressing it), without also having to deal with internal strife from people that are necessarily antagonistic to rights based ideas, veganism and a pro-intersectional approach to animal rights. One solution could be to uncouple some of the ideas that mainstream activists have become attached to, whilst they may also need to accept that rights based activists are necessarily opposed to speciesism and would naturally undermine a mainstream approach that seeks to collaborate with systems of exploitation, and that would be an issue that would need to be acknowledged and addressed rather than resisted, or merely dismissed. 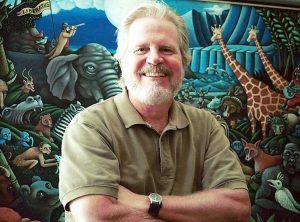 In recent years there has been increasing popularity within the mainstream animal ‘rights’ movement to try and bridge gaps between different ideas in the animal movement. This has frequently led to privileging certain approaches that are not rights based, as they tend to be more accessible to people currently consuming animals, and the mainstream groups correctly point out that people consuming animals largely constitute our audience. However, there are a number of issues which need to be taken into account when we are advocating for animals that strengthen or weaken our advocacy. So how we approach advocacy is important in regard to the claims that we make. One approach that has recently gained traction relates to ‘carnism‘, and this has been described by Will Tuttle as a concept which is ‘important and empowering; it uniquely names and illumines what has been virtually invisible in our culture’s most defining attitudes and practices.’ The central tenet of carnism is that we are conditioned to eat certain animals, and this provides a useful starting point for discussions around animal exploitation, whilst the ideology surrounding carnism can also help us examine the behaviour of ‘carnists’. There are however, some issues with the ideology of carnism that shouldn’t be overlooked. So if we are going to use aspects of this ideology to inform our advocacy, then it is also worth reflecting on its limitations. One such issue is where we identify carnism as being ‘food choice’ oriented, and how veganism has consequently been reduced to a diet (where other vegan implications are missing), and this is a general reflection of how the mainstream animal movement presents a diminished view of veganism. It is also more accurate to say that veganism is the opposite to speciesism, rather than the opposite to carnism. As carnism is considered a ‘sub-ideology’, then it follows that veganism can deal with carnism within its broader scope, so there is no need to limit the philosophy of veganism in regard to carnism. A particular consequence of this approach could be a dietary or personal purity response instead of invoking the broader social intentions surrounding the original idea of veganism, rooted in opposition to animal exploitation and the pursuit of social justice. If anything, a plant based diet is the opposite to carnism, or even vegetarianism which has been stated on the Beyond Carnism website and in itself would address ‘meat’ consumption. 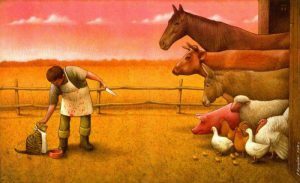 With these issues in mind, there is one particular aspect of carnism that sought to illuminate an attempt to protect the social conditioning of animal exploitation, and this takes place through the process that has been called neocarnism. The presence of people with neocarnist attitudes isn’t anything particularly new in animal rights / vegan / anti-speciesist spaces, as many people that are transitioning toward veganism exhibit these attitudes and behaviours. However, there are also neocarnists that have rejected veganism, such as Lierre Keith and Rhys Southan who were ‘vegan’, but now attempt to argue against a vegan position. Whilst we can also recognise there are many people who are vegan that continue to exhibit speciesist traits due to the extent we have been socially conditioned to devalue other animals in our everyday lives. This is exemplified by a continual process or ‘journey’ when people arrive at veganism. Beyond Carnism or ‘Within Carnism’? This leads to the question of whether the mainstream movement actually counters carnism or whether in many ways it reinforces neocarnism and subsequently animal exploitation through making claims of ‘effectiveness’ (this is often what is meant with the claim ‘meeting people where they are at’, which we can do, but without validating animal exploitation). An example of neocarnism could be support for reducetarianism, an approach where animals are considered ‘meat’, and where it is ok to exploit and consume them. In this way reducetarianism represents a case of neocarnism undermining the pillars of veganism. However, as neocarnist ideology says, we need to ensure that we ‘continue to challenge such proponents to reflect more deeply on their choices.’ Of course the way we do this is important, and the recent book by Casey Taft outlines how we can advocate in a way that supports veganism and animal rights. Otherwise, where we support neocarnist organisations we end up reinforcing carnism regardless of what claims we make based on our own personal ‘veganism’ (perhaps more accurately defined in some parts of the mainstream movement as ‘highly effective reducetarianism’). So in this regard it is important to examine the implications of ‘professional’ animal advocates supporting neocarnist approaches, especially in relation to how vegan recidivism could be facilitated through recuperation, and how this approach would have a detrimental impact on a social justice* framework. So it is important to be clear that veganism would reject neocarnism within the mainstream animal advocacy movement *because* there is the need to challenge people to reflect more deeply on their carnism, rather than taking an approach that soothes carnists with mainstream tropes such as veganism being ‘extreme’, which in itself is a skewed representation of people who adopt and advocate veganism as it is defined. ** This has also been presented as ‘orthodox’ or ‘dogmatic’ by the mainstream animal movement, when in fact it is ‘just’ veganism. It also becomes apparent that claims from Beyond Carnism have not been sufficiently evaluated, whilst new initiatives such as CEVA (Centre for Effective Vegan Advocacy and an offshoot of Beyond Carnism) present a further issue in regard to neocarnism, where there could be a preference for utilising neocarnism ‘strategically’ (under the guise of making veganism appear ‘easier’) rather than making a sound case for veganism. In this way the organisation would most likely encourage neocarnist reducetarianism in line with the ‘strategies’ of one of their contributors, rather than recommending a sound vegan, animal rights and anti-speciesist approach to effective vegan advocacy. *The social justice implications require a separate discussion in regard to carnism. Utilising the system of carnism or speciesism ‘strategically’ has the effect of undermining vegan and animal rights advocacy and is highly problematic when opposing exploitation and oppression as part of an intersectional justice approach. A further problem is where ‘effective’ activists would counter this issue by applying their method to other oppressed groups. In regard to animal advocacy the mainstream ‘strategies’ attempt to occupy the neocarnist space and really have nothing to do with advocating veganism. Although people attempt to bridge the ‘gap’ between veganism and neocarnism, denigrating vegans and veganism would hardly be considered an effective and encouraging approach. Instead, it would merely reinforce a neocarnist response and sets up veganism / animal rights as a problem rather than a solution. There are issues in vegan advocacy and veganism that need addressing, but this needs to take place in an encouraging and supportive way. Reducetarianism is sometimes confused with reduction. When we become vegan we reduce the amount of animals we exploit. In advocacy terms this means from a vegan or rights based perspective, so we look at how to do that. Whereas reducetarianism uses a carnist perspective that says it is ok to consume animals, though we ought to consume less of them. This is a guest blog that originally appeared at Vegan Bristol. The recent Bristol Post article titled ‘Two cows to mooove into Bristol Harbourfront’ provided a distinctly one sided account of animal farming, that appears to have been devised to reassure people over their continued exploitation of animals. As such the article became an appeal to a false idea of the dairy industry that at best hid a great deal of the ‘truth’ behind animal farming. The article itself suggests a number of issues to contend with; first and foremost, what exactly are cows doing at Bristol Harbourfront amongst ‘cafés, bars and boats’? It certainly isn’t their natural habitat, and yet neither would the farm be their natural habitat either, for cows that have been specifically bred to be farmed by humans, there isn’t a natural habitat for these animals. In fact the whole process of animal farming, and the subsequent consumption of milk taken from another species is quite unnatural in itself, as humans are weaned from human milk at a young age, and are not supposed to consume the milk of another species thereafter. The milk mothers produce for their calves is specifically formulated for them to grow quickly, not for humans to consume as part of a ‘balanced’ diet. This goes against the claim in the article that milk is a ‘very ‘normal’, everyday product.’ Of course the consumption of dairy has been normalised culturally, but that in itself doesn’t make it either natural, normal or necessary to consume. The fact there is an artist at the event suggests there will be a degree of theatrics in the performance. Yet there also doesn’t seem to be a genuine attempt to speak the truth about dairy farming, where people could make their own minds up, instead of dealing with another layer of distraction. The intent here seems to be in reinforcing the bucolic image of farming peddled by the likes of McDonald’s and Waitrose, and found in the fables of children, in order to reassure and further encourage the unnecessary consumption of dairy products. The article then goes on to say the artist will be ‘sleeping together in the pavilion with the cows, milking them, and feed[ing] them.’ It would seem to support an illusion the cows are being well looked after, and are also generally well looked after, until they are no longer useful and are then killed. 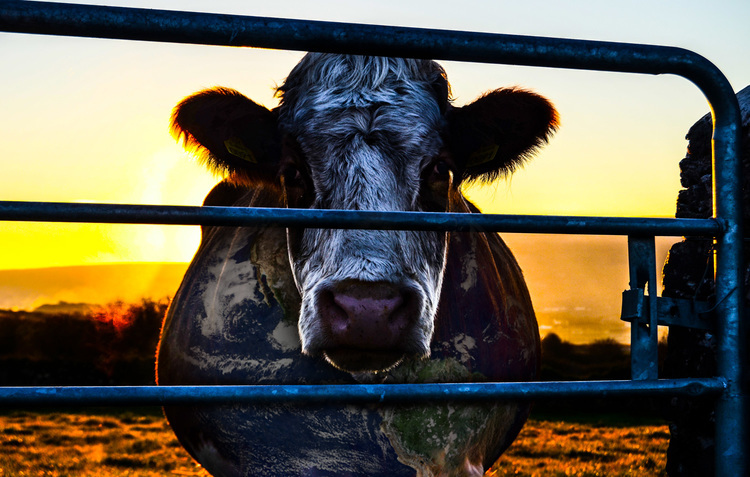 The animals themselves aren’t genuinely considered in the ‘true cost of farming’, whilst it is reasonable to say the environmental costs of animal farming are high, as outlined in the Cowspiracy documentary, and a recent article in the Science journal that also made this point. But the answer isn’t reform, the answer resides in a fundamental change in our behaviour, where we take these issues seriously. The article also mentions that ‘our planet is in the midst of its sixth mass extinction of plants and animals, with industrial agriculture being one of the largest contributors.’ This is true, and arguably animal farming is a big driver behind this event, so we need to take more radical action in regard to our environment, and make different choices in regard to consumption. We also need to change the way we view nature and the way we live in this world, and veganism can play a significant role in that. There is also a mention in the article of ‘Global Food System Inequalities’, and it will be interesting to see how issues of neo-liberalism will be addressed within the performance itself. But let us wonder whether this is really part of a campaign by Nessie the performance artist. Someone who is concerned about the dairy industry, and is willing to spend five days and many nights on the harbourfront milking two cows three times a day, possibly on her own time and at her own expense. If it is, then I admire her dedication, though there are a number of fundamental issues with the claims she has made so far. Despite this, I think it is possible to understand the struggles of the farming industry too, and there is no doubt it is difficult for people in a declining industry. Sadly, the government and National Farmers Union will be of little help here, because they rarely show genuine concern toward people that are struggling, indeed they don’t really seem to care at all. This of course is awful, but it is another truth the industry needs to face in these changing times. The answer isn’t going to be in reform, the answer is in alternative ways of living. In regard to dairy itself, there are many alternatives that are widely available, from oat milk, soya milk, coconut milk, hemp milk and almond milk. The vegan yoghurts, cheeses and creams are also widely available and the homemade cashew cheeses are truly very good. Whilst it may be difficult to think in terms of ‘giving up’ certain things, when we consider the environmental costs, and the costs to animals themselves, it becomes easier, necessary even, so next time you realise you are reaching for the dairy, think about picking up one of the alternatives instead.